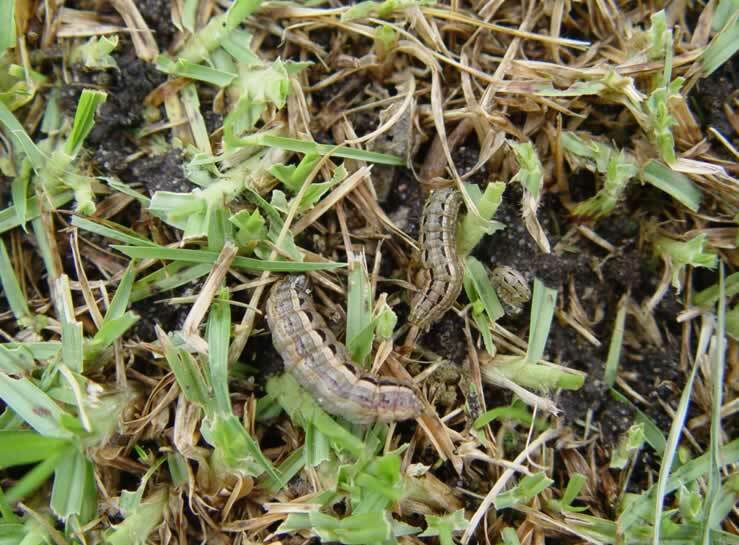 Lawn grubs could be one of several types of caterpillar. But, generally they look brown and striped. The little patches of eggs are often laid on dry surfeits and patios around your house. Lawn Grub Killer, usually a chemical called Chlorpyrifos, should NOT be used in any of our gardens and I would never, ever use it where food was to be eaten. It’s not acceptable in organic gardening at all. 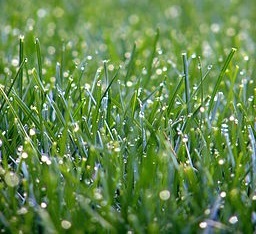 Allow nature to take its course in your lawn. Wasps will naturally parasitise the lawn grubs and birds will eat them. And who cares if the lawn is brown in patches? It is better to feed the wildlife with grubs than kill them! But, the damage was done for this reader, who had applied it some time ago and was now seeing the ecological damage. …Effects on aquatic organisms: Chlorpyrifos is very highly toxic to freshwater fish, aquatic invertebrates and estuarine and marine organisms. Cholinesterase inhibition was observed in acute toxicity tests of fish exposed to very low concentrations of this insecticide. Application of concentrations as low as 0.01 pounds of active ingredient per acre may cause fish and aquatic invertebrate deaths. Due to its high acute toxicity and its persistence in sediments, chlorpyrifos may represent a hazard to sea bottom dwellers. Smaller organisms appear to be more sensitive than larger ones. All round it’s BAD NEWS. DON’T use it greenthumbs. Take it to the tip when they next have a dangerous chemicals collection and implore your local nursery not to sell it either. And if you’re not already convinced it’s bad news, here’s a simple fact sheet for you.